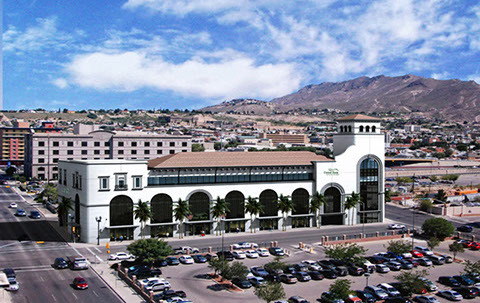 Formerly a four-story parking garage, this Spanish Colonial-style facility is a gorgeous addition to the existing architecture of El Paso’s downtown district. This 10-story renovation project transformed a dilapidated eye-sore into one of the centerpieces of the downtown revitalization effort. 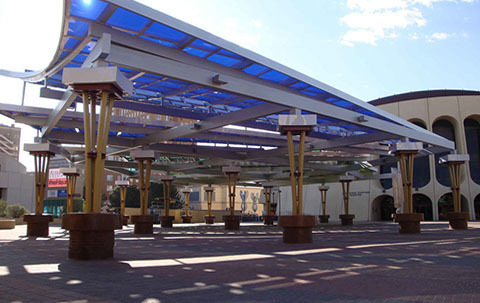 In honor of El Paso’s Hispanic heritage, five bold colors were selected for the roofing materials used in the fan shaped canopies that serve as the focal point of the plaza’s center. 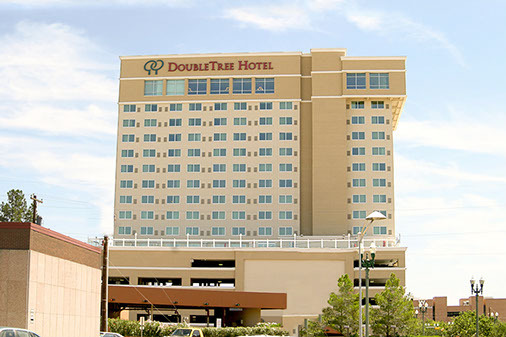 We are a successful, locally owned general contractor in the EL Paso & Southwest region offering a full range of pre-construction and construction services such as construction manager at risk, general contracting, and design/build. Our expertise covers a broad range of municipal, government, and private work including: apartments and housing, banks, churches, government/specialized projects, hotels, medical facilities, office buildings and retail, paving, renovations, remodels, restaurants, schools, and warehouse/manufacturing plants. Discover our history, browse our services, and meet our team. Find out what makes us different and why nothing matters more than our clients, community, and employees. During the past 32 years we have completed hundreds of jobs in the community and we are honored to be a part of the landmark projects that have shaped the face of the region. Qualified local subcontractor? Request to be added to our Bid List.